About one and a half weeks ago, I went outside early in the morning to take the trash to the curb for the week’s trash pick-up. 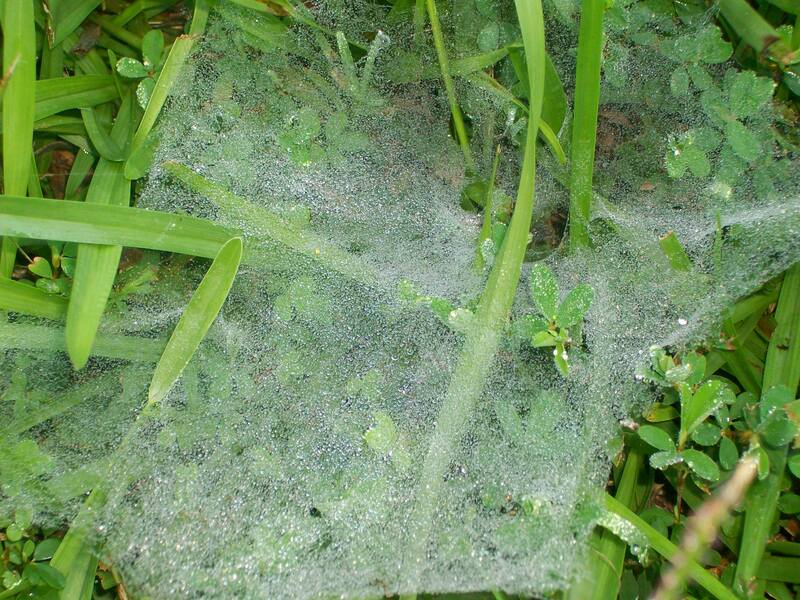 The first thing I noticed upon going outside was a lovely spider’s web in the grass near the driveway. I was so moved at seeing this beautiful work of nature that I went back inside to get my camera and snap a few photos. I am glad that I did. Spiders’ webs – especially those that are in great condition and still wonderfully intact – have been something that I have rarely observed this summer. 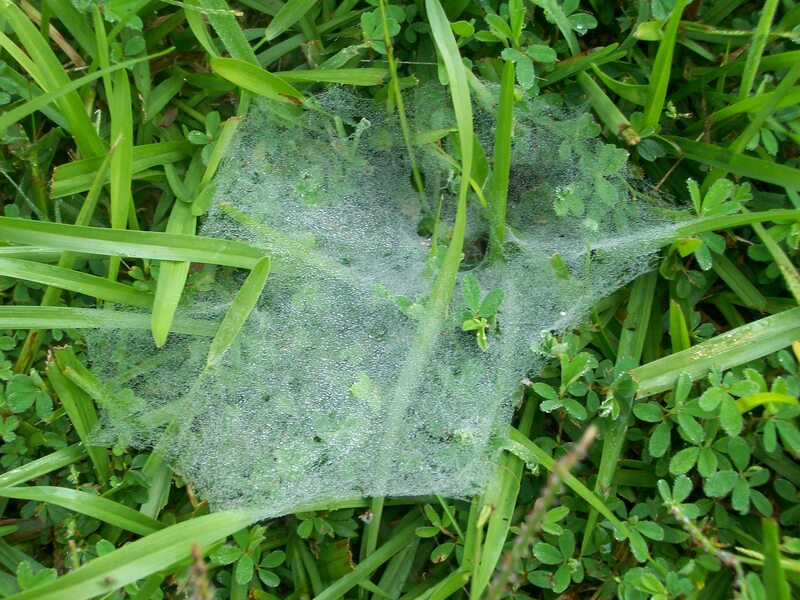 I believe that all of the wonderful, but heavily wet weather we have had during this unusually rainy summer has potentially decreased the number of spiders’ webs that have remained actually functional. So, while there may be few people who take notice of the beauty that can be found in a spider’s web, I would like to take this time to take notice of one of nature’s beautiful creations. Don’t take the little things for granted. Someday, they might not be there to notice and enjoy.